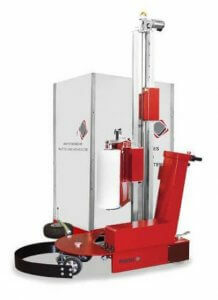 We currently have an offer for a Semi-Automation Mobile Wrapping Machine. 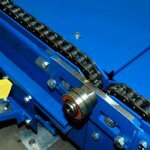 The mobile stretch wrapping machine ROBO WAVE enables a stable and compact wrapping of every kind of palletized product with no size restrictions. As ROBO WAVE is a battery powered machine that can operate anywhere, it also solves problems concerning loads that because of load instability or load dimensions cannot be moved to the packing areas. Safety bumper to stop the machine when running against obstacles.